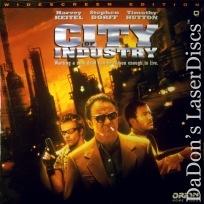 "Nothing More Lethal than a Man with Nothing Left..."
City of Industry 1997 - 97 min. 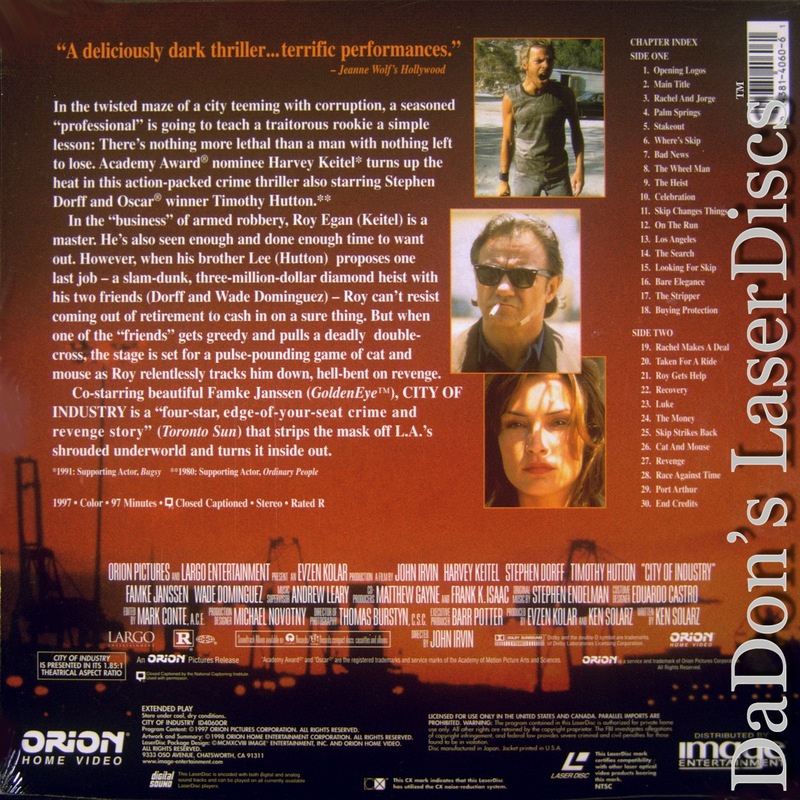 - Color Genre: Thriller Rated R Country: USA LaserDisc Movie Storyline: When jewel thief Roy Egan (Harvey Keitel) is violently double-crossed during a heist, he embarks on a mission of vengeance. 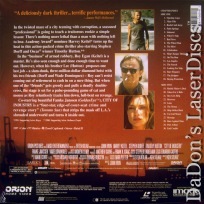 The gritty action film also stars Timothy Hutton and Stephen Dorff and features early screen appearances by Lucy Liu and Famke Janssen.